Most people are often confused about the use of chiller systems and air conditioners. Well, both systems might serve almost the same functions. But when it comes to temperature level, they both work in different ways. Also, they produce different outcomes and serve different purposes. Today, most homeowners use both the air conditioner and chiller systems. If you still find this confusing then read on as we provide you with great insight about the two appliances. What is Air Conditioner VS Chiller? 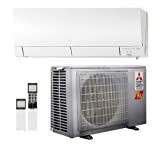 Air conditioner helps to regulate the temperature level of a room. Design to convert hot air into cold and vice versa. Some advanced air conditioner systems come with wireless remote control. This device gives users more comfort to control the unit. Also, they are mostly used in homes and offices to control the temperature levels. Most air conditioners help to remove only heat. But luckily, some air conditioner has a heating feature to help reduce cold air in your home. Chiller helps to remove heat from a building through an absorption refrigerator cycle. The fan-coil allows liquid to pass through it, and this dehumidifies the air. Chillers, however, mainly concentrate on cold air and water. All chillers have powerful fans that help to cool its condenser coils. You can find the water-cooled chillers in the internal units. This helps in recycling water to an external cooling method or a heated seat. The external units of a chiller include a cooling tower which helps to remove heat. 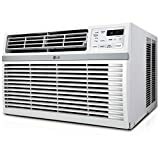 Air conditioners stand as a wonderful unit to use in homes and offices. The main purpose of these systems is to regulate the temperature and humidity level of a room. Chillers, on the other hand, are mainly designed for liquid cooling. You will find these systems in big facilities like hotels and factory floors. Today, the central air conditioners stand as one of the most commonly used cooling systems in the world. These systems work great in bigger homes due to their high cooling capacity. The supply ducts circulate the cold air to the entire building. When the air gets heated up, a central air conditioning circulates the air back to the supply ducts. The central air conditioning isn’t always easy to install. Thus, only professionals should install these systems. If installed the wrong way, this can cause severe problems in the internal units. 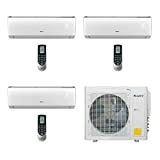 Ductless, mini-split systems have an indoor handling unit and an outdoor condenser. This type of AC works great to keep a single room cool all year room. You will find that some ductless, mini-split systems to have up to four different handle units. Each handle unit of the ductless, mini-split air conditioner has a thermostat. The thermostat enables it to control the temperature level of each room. They work great when it comes to cooling certain parts in your home. The window air conditioner is also called a “unitary unit.” These air conditioners are great for cooling one room. As the name implies, there are window-installed. Window air conditioners cool a particular room by drawing out hot air and sending in cool air in return. If you live in a small house, then the window air conditioner is the best option. However, this type of air conditioner doesn’t work great in a large size room. 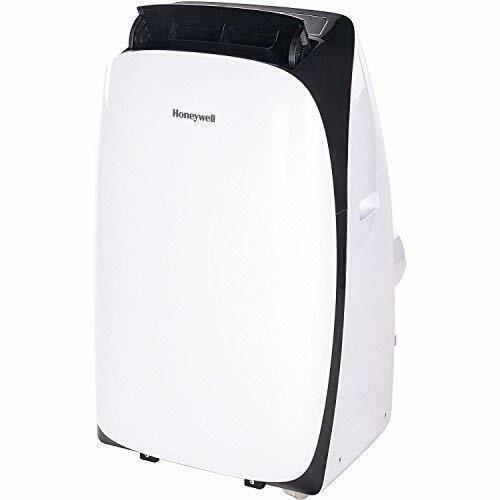 Its low cooling capacity makes it a perfect choice for offices and other smaller rooms. 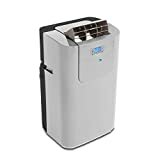 Portable air conditioners work in the same way as the window air conditioners. They drag the hot air from a room, cool it, and send it back into the room. These air conditioners are easy to install and maintain. With the portable air conditioners, you can stay cool and comfortable at all times. They are also very affordable and versatile. Because of this, it makes them one of the best-preferred air conditioners to most homeowners. The hybrid air conditioners can run by using both electricity and fossil fuels. Due to the system’s hybrid abilities, it draws its energy from an energy saving source. These systems are great for homes and offices alike. They run on fossil fuels and electricity, and they are very beneficial to use. For those looking to save more on energy cost, then using a hybrid air conditioner is the best option for you. Known for its energy efficiency and sustainability, this type of air conditioner uses the ground temperature below us to its advantage. This works by installing a geothermal coil in the ground below us to cool and heat our homes whenever we want. This system works great to keep any large size room temperature cool at all times of the year. During summer, the geothermal system extracts heat from your home and transfers it into the ground. While in the winter season, it removes cold air from your home and pushes it into the ground. Owning one of these will help you control your home temperature throughout the year. Chiller has two categories: Vapor compression chillers and Vapor absorption chillers. Chiller has a mechanical compressor that helps to push cool air around the system. The Vapour compression has two different types -the air-cooled and water cooled. The air-cooled and water-cooled chillers serve almost the same purpose but work in different ways. However, let’s consider the good and bad sides of these two chillers (air-cooled and water cooled). Both types of the vapor compression chillers have the same components. They both have an expansion valve, a condenser, and a compressor. The water and air-cooled chillers work great in removing heat from your home through the chiller condenser. The water cooled and air cooled chillers both work in the same way. The expansion valves, the condensers, and the compressors play the same functions in both systems. The vapor absorption chillers do not use mechanical compressors. Instead, they use a heat source in moving the refrigerant around their systems. These energy efficient chillers will save you more money on energy bills compared to the other chiller. 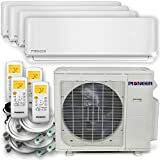 However, these chillers work great for rooms or buildings with less heat. You will find this type mostly in facilities that have heated pools. Also, most hospitals also make use of this air conditioner. Air conditioners and chillers may both look similar, but they serve different purposes. I hope this article is helpful to you.